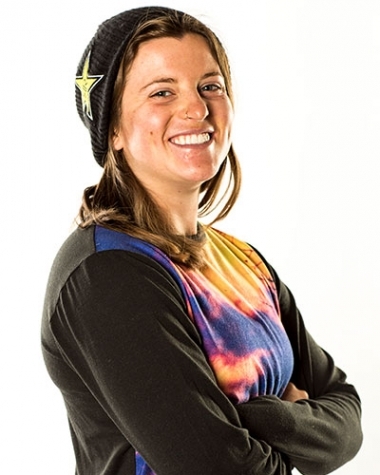 Inspiration: My older brother Taylor Gold, along with Kelly Clark, Hannah Teter, and so many others! I try to learn as much as I can from everyone in the industry to make myself a better all-around person and snowboarder! What’s on your IPOD playlist? A lot of country music, mixed with some Lana Del Ray, Johnny Cash, Mumford & Sons and Juicy J. I’m not too picky! When I’m not snowboarding I like to: Ride my horses, mountain bike and exercise, cook, and enjoy spending time with family and friends! Something that most people don’t know about you: Most people don’t know that I have two horses, and that I’m as passionate about horses as I am snowboarding. Quote: “Fear does not exist in the present.” Sometimes it’s exactly what I need to hear before I drop into a scary trick or a contest run. It helps me overcome the nerves. Career History. How did you start snowboarding? I started snowboarding because my older brother Taylor had started a few years earlier than me, and seemed to really enjoy it. I put away the skis for a season and gave it a try, and never looked back.